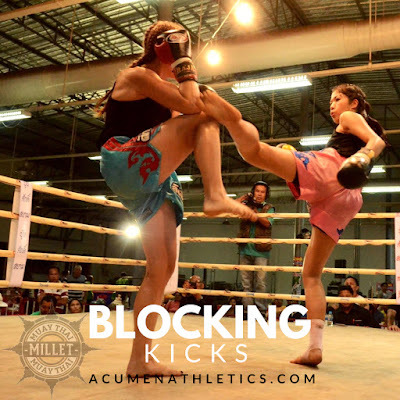 An effective block against a kick must possess balance, stability, and strength against your opponent's kick. You must also be in a good position so that you can retaliate with a powerful strike or combos. The whole point of defense in a combat sport is to avoid or take minimal damage while being able to land significant strikes. Blocking alone isn't going to win you fights. Now there is no exercise that is going to make you block kicks better than just drilling it with a live partner. These exercises are meant as a supplement to awaken your mind-muscle connection and fire up any underused muscles needed for effective kick defense. I highly recommend you use them as part of your warmup or before your training session. They can be used in between rounds from your training or after training as well. Hell, do them while you wait in line at the DMV, especially if you're trying to squeeze in extra work throughout your day. Maintain a neutral spine by tucking your hips as you perform the bridge pose. Keep your abs, hamstrings, and glutes engaged. Flex your feet and drive your heels on the mat. Keeping your hips stable, raise a knee towards chest. This will keep your core balanced throughout the movement. Which will reinforce balance and stability when you shin block against kicks. Lay on the ground with a flat back. Flex your hip so that you are able to hug your knee. Bridge up while hugging your knee. Hold for 1 second while stabilizing your opposite side. Lower your bridge pose and repeat with opposite leg. This time your arms are raised up as you hold the bridge. Try to touch your arms as you raise your knee. Slightly increase your arm's distance as your hips achieve a new range of motion. For the month of May (2018), I am focusing my classes on kick defense. Think of blocking as the foundation. Evading, interrupting and parrying are other options but those take time to build up the reflexes needed. 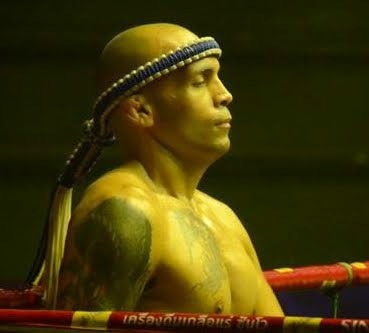 One of the best abdominal, hip and glute activators to add to your Muay Thai warm-ups and training. Especially when it comes to blocking kicks. Remember to keep your blocks strong and immovable against your opponent's kicks.